Warehousing and distribution firms are beginning to attract more interest from investors as demand for storage space nationwide heats up and competition intensifies among smaller players. The latest sign of the growing appetite for acquisitions is a deal between Blackstone Group of New York and Cloverleaf Cold Storage, a family-owned warehousing and food logistics firm based in Sioux City, Iowa. Blackstone will become a majority owner of Cloverleaf as part of a recapitalization of the business. The business will continue to be run by members of the Feiges and Kaplan families, who founded the company in 1952, according to a joint statement issued by Blackstone and Cloverleaf Nov. 13. Cloverleaf is the eighth-largest public refrigerated warehouse company in North America and has operations in eight states in the Midwest and Southeast. The company ranks No. 64 on the Transport Topics list of top warehousing firms and operates 91 million cubic feet of space in 17 warehouses. Other recent investments in the warehouse and distribution business include an investment by Incline Equity Partners in Fond du Lac Cold Storage in Edison, N.J., and the buyout of chemical distribution specialist VWR Corp. by Avantor, a portfolio company of New Mountain Capital in Pittsburgh, Pa.
Cloverleaf traces its history to 1934 when Israel Kaplan began hauling chickens and eggs from local farms to packing plants. In 1952, Israel’s son Mort agreed to store frozen peas in a shuttered warehouse and later teamed up with son-in-law Dave Feiges, a turkey broker, to launch a refrigerated warehouse business. 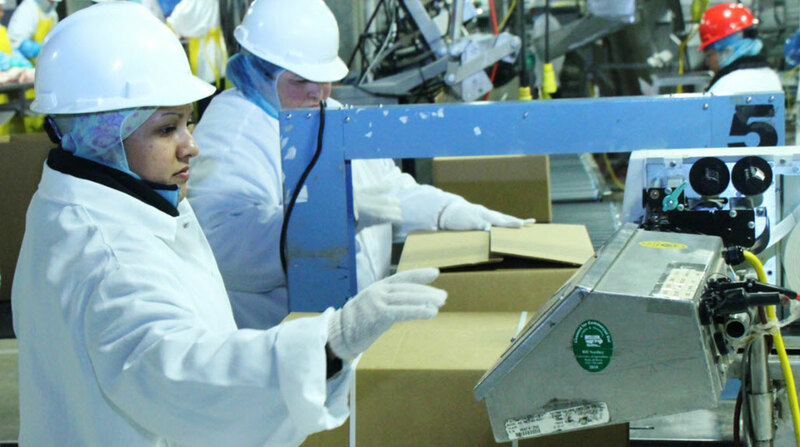 In the mid-1980s, the company created Farmers Produce, a business that specialized in customized meat processing, packaging and logistics services through locations in Iowa, Missouri, Ohio and North Carolina. The company operates a container freight station in Fairmont, Minn., to ship products outside the United States and also operates four ambient food warehouses in the United States. The business now is headed by third-generation family members Bill Feiges and Daniel Kaplan, who serve as co-presidents, Dave Kaplan, who is responsible for network optimization and information technology, and Adam Feiges, who heads up sales. At one time, Cloverleaf operated a fleet of 30 trucks but sold those vehicles to Heyl Truck Lines a few years ago, Adam Feiges said in an interview with TT. Fond du Lac Cold Storage operates in Illinois, New York and New Jersey and specializes in storage and delivery of wine, cheese, chocolate and craft beer. The company operates a fleet of 60 delivery trucks and provides packaging and other logistics services. Justin Bertram, a partner with Incline, said the Pittsburgh-based investment firm was attracted to FDL, in part, because of prior investments in similar businesses. Those investments include: MidWest Industrial Rubber Inc., AFC Industries, Hartland Controls and Revolution Dancewear. “We are excited to leverage our past experience to help Ted and the management team accomplish their long-term growth objectives,” Bertram said in a statement Nov. 16. Another specialized distribution company, Radnor, Pa.-based VWR, was acquired by Avantor, a portfolio company of New Mountain Capital, in a transaction valued at $6.5 billion. Both companies are involved in the distribution of chemicals and laboratory instruments and supplies. VWR will operate as a wholly owned subsidiary of Avantor, based in Center Valley, Pa., with New Mountain Capital becoming the lead shareholder of the combined companies and Goldman Sachs Merchant Banking Division holding a smaller equity investment. “The combination of Avantor and VWR creates a vertically integrated global company,” said Matt Holt, managing director at New Mountain Capital in New York City. VWR operates a private fleet of six tractors, 13 straight trucks and 15 trailers, according to registration data on file with the U.S. Department of Transportation.